5 Creative Promotional Aids Using LED Lighting. 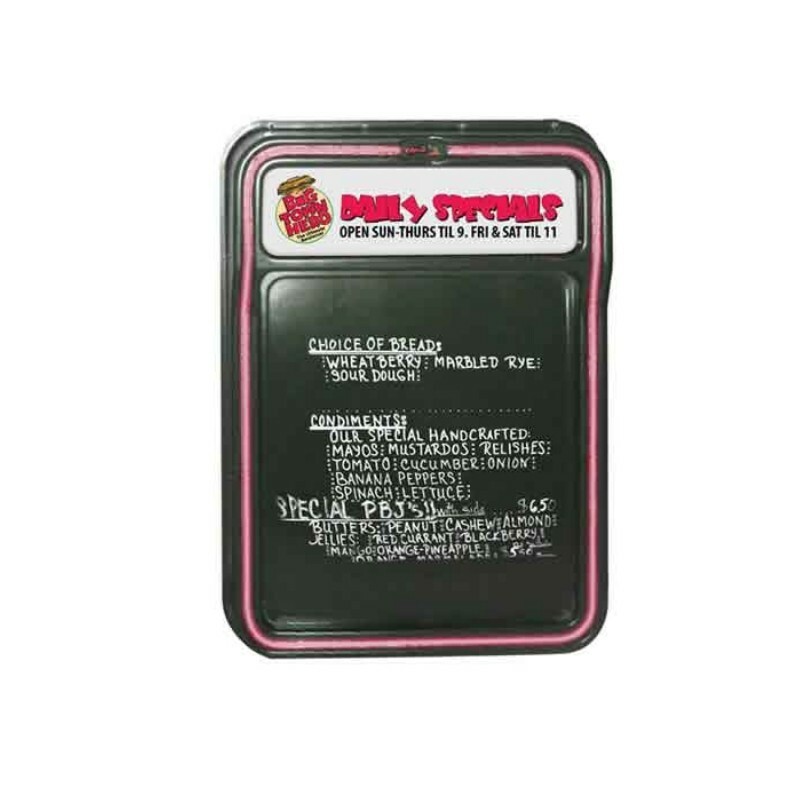 When it comes down to it, the point of promotional aids and advertising materials is to get noticed. What better way to illuminate your business (literally) than by incorporating LED lighting into your advertising efforts? In recent years, LED lighting has emerged as one of the most innovative methods of creating eye-catching promotional aids and signage. It’s hard to ignore the beautiful bright lights and stunning visual appeal that LED lighting can add to your advertising efforts. Are you curious about LED? If so, you’ve come to the right place. Here, we’ll delve into the world of LED lighting as used in promotional aids. We’ll start with an explanation of what it is, and then explore five unique promotional aids from the Above All Advertising collection which employ LED lighting. In short, it’s an energy efficient lighting solution. 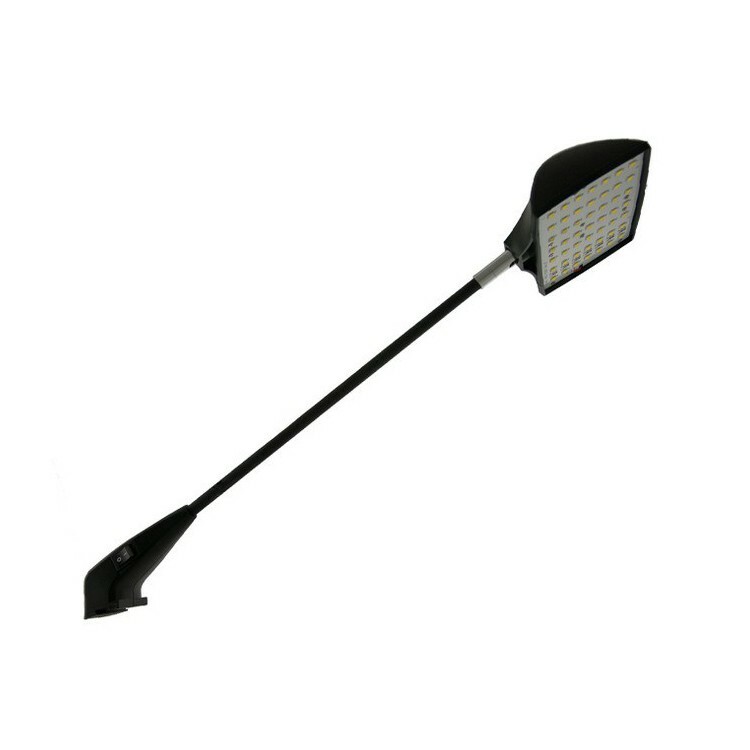 LED stands for “light emitting diode”, and refers to a semiconductor device that acts to convert electricity into light. LED lights are referred to as “directional” light sources, meaning that they can aim light in specific directions, unlike light bulbs which illuminate in all directions. In terms of advertising, the specific “aim” of the light allows you to highlight signage or advertising items in a targeted, very intentional way. The efficient use of energy and the ability to customize how the LED illuminates your sign or promotional aid makes it a popular option for advertising. Now that you have an understanding of what LED lighting is, let’s talk about promotional aids which might be of interest for your company’s advertising efforts. This brilliant and highly customizable promotional aid will bring all eyes to your company. LED light boxes are sleek and lightweight, and can be mounted to just about any type of wall surface. This illuminated color display is lit from within, which draws consumer eyes right to the information you want them to see. Use this type of sign to promote a product or service, or simply to promote your company at large. One of the best things about the LED light box sign is that you can change messages and graphics quickly and easily using software which comes with the sign. Available in a number of different sizes, the LED light box is an invaluable way to spread your message to the world. Lanyards are an extremely handy item: they can be used for hands-free transportation of IDs, key rings, cell phones, or any number of objects. Because they are so useful, they are a great item to have printed with your branding to offer as a promotional item. In particular, they can be a great giveaway at trade shows, where attendees frequently need lanyards to hold ID badges or name tags. Make your lanyards different and in demand by incorporating LED technology. 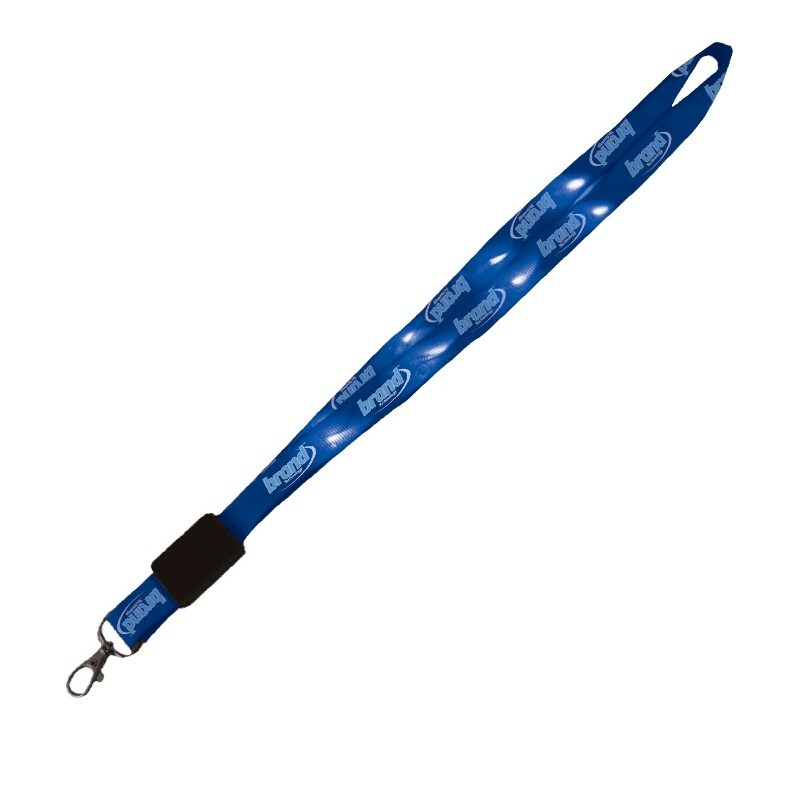 Branded LED lanyards provide all of the functional benefits of regular lanyards, but with an extra special light-up visual. Available in a number of different colors and styles, these light-up lanyards are bound to bring all sorts of attention to your company, and they’re awfully fun to share with your customers. Since the battery life is 20-35 hours, you’re bound to be lighting the way to sales all day long at your next trade show! If your business has a “menu” of either food items (such as a restaurant) or services (such as a spa or salon), an LED menu board might be the perfect promotional aid for you. An illuminated LED menu board is a full color advertisement which will grab attention at street level. Since it’s weather resistant, it can be displayed outdoors with easy setup. It can remain lit even after hours, so that even during your closed times you can capture customer interest if they happen to walk by. Best of all, you can change the content of the sign daily if desired using neon markers and unsnapping the easy-to-access frame, so you can spotlight daily specials or specific promotions. Custom Aire Pin™ signs with LED lighting. Available in multiple heights and shapes, our Aire Pin™ series of signs are designed to capture attention. This suite of signs is striking: they’re tall, attention-grabbing, and informative. For your company, they act like a pin on the map, making your business the destination. They’re available in a few different shapes, including a curved, horn-shaped design (pictured above), a classic “totem” shaped pillar, and a cone shape. To keep each sign upright and inflated, they come with a fan; this means that they’ll stay aloft regardless of the weather conditions. You can choose your favorite form, or invest in a few different styles to make a truly compelling display outside of your place of business. But to really make these signs sparkle, we like to incorporate LED lighting. LED lights can be positioned and aimed at the signs so that all eyes will be right on your branding, no matter how low the light. Be sure to keep eyes on your sign during the evening hours or when the light is low so that you can illuminate your business and bring it the attention it deserves! You can make any promotional aid or sign a work of dazzling advertising art by lighting it up with our state of the art LED clamp lights. Yes, indeed: even non-LED specific promotional aids and signs can be converted into LED signs by incorporating these clamp lights, which can be placed strategically to spotlight the items in question. Since they are battery powered clamp lights, they can be set up anywhere with no need for an outlet nearby. They’re easy to set up and take down, and can be transported so that you can have illumination on command. These lights can truly turn any sign into a wow-worthy option. Conclusion: LED lights can really put a spotlight on your advertising efforts--literally. By incorporating LED technology into your promotional aids including signs, trade show swag, and displays, you’ll command attention and entice customers. Over time, this can lead to an increase in brand awareness, sales, and your company’s overall success. Have you ever used LED displays in your promotional efforts?